59. Plant something and have it grow. I have a distinct memory from when I was about seven years old. My dad wanted to plant flowers in our yard and he let me pick them out. I was really excited to do this. I chose all purple flowers (future Deepher problems). I even got to help my dad plant them. One day, we finally saw one shooting up. Unfortunately, so did my dog, Harry, and he proceeded to dig our “garden” up. And that was the end of that. I’ve lived in apartments since I was eighteen and those don’t make the best growing environments for plants. I currently have a basil plant in my kitchen, but his days look numbered. I would love to be able to grow my own vegetables. Over the summer I was able to “borrow” some garden space, but since I wasn’t out there all the time, I didn’t really feel like I grew them. 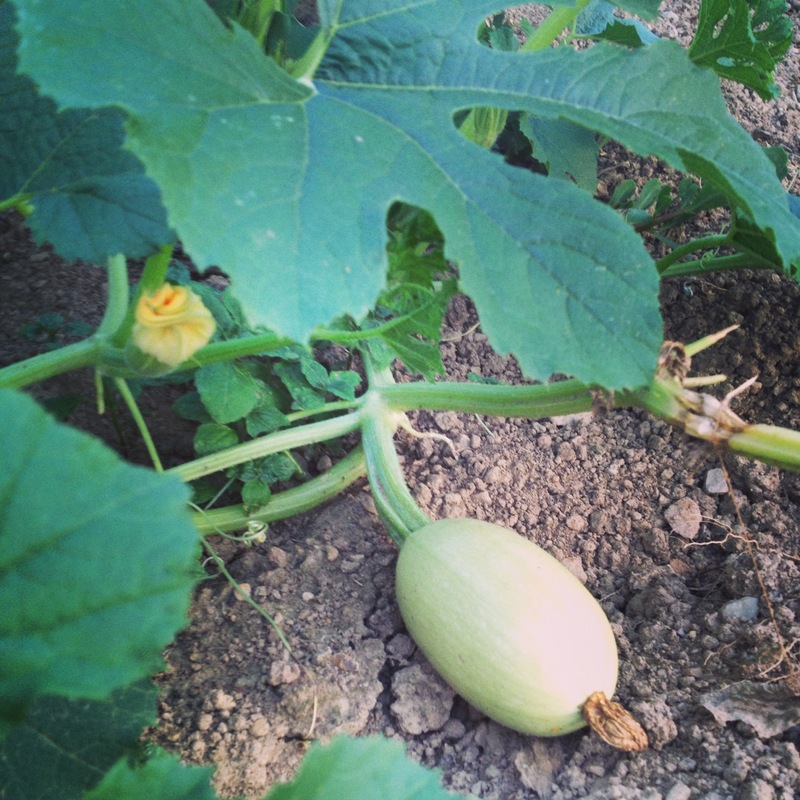 Spaghetti squash I planted this year. I actually like to read. I can completely lose myself in a book. One night in college, I started reading some Jodi Picoult novel around 6 pm and the next thing I knew, my roommate Pam was in our room in her pajamas. I hadn’t realized she had come in or that it was past 10 pm! In October I read 10 books, but the past few weeks my reading has been limited to BuzzFeed articles. We used to go to this restaurant in Connecticut called Cobb’s Mill Inn for every family event. It was definitely a fancy place and I remembered that a lot of my uncles would order duck off the menu (meanwhile I was trying to find the closest thing to mac and cheese on the menu). I feel like duck shouldn’t taste too different from chicken or turkey. This is me being adventurous with my food…trying duck. When I’d get sick of hanging with the adults, I’d go outside and play by the waterfall. 75. Make a vegan meal. On the opposite end of the spectrum…my former boss and current friend Becca was the first vegan I ever met. I had plenty of vegetarian friends, but the no dairy thing completely through me for a loop. I learned a lot that first year – did you know that Oreos are vegan? That fact frightened me a little. We had a Christmas dinner at my apartment that first year and I volunteered to make vegan mac and cheese and it was a major fail. It just doesn’t translate well. BUT there are plenty of other tasty-sounding dishes out there and I’d love to try and make a few of them. If you have any recommendations, send them my way!